Royal Brush-Metallic Colored Pencils. 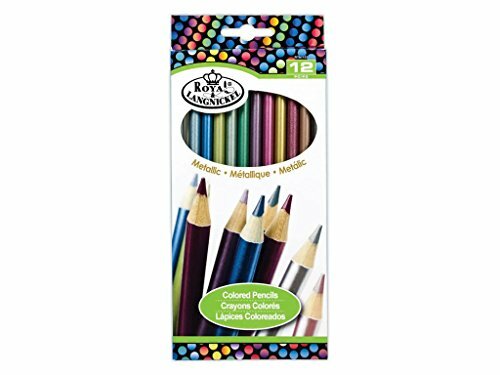 Vibrantly colored, pre- sharpened and blendable, the vivid colors of these round colored pencils are sure to catch the attention of young artists. This package contains twelve 7 inch long colored pencils. Conforms to ASTM D 4236. Imported.